We manage to collect kids school books of various kinds and conditions. If a book is in no shape to sell but is festooned with character, it is kept in the archives. If a book is pristine but so awesome it couldn't possibly be let go, it is kept in the archives. The first book we'll look at is Magic Letters, a psychedelic romp through diverse style changes, watercolour, paper cut-out, clay illustration, etc. On a radically different note, Let's Learn To Spell is a staid grammar book, replete with exercises on constructing sentences and all that. Why we feature it here is for the arcane quality of it's symbols and the obvious connection between spelling words and casting spells (magic letters!). Also, some kid went to town on it and learned to spell. This is a small fragment of our collection. Stay tuned for more thematic uploads. 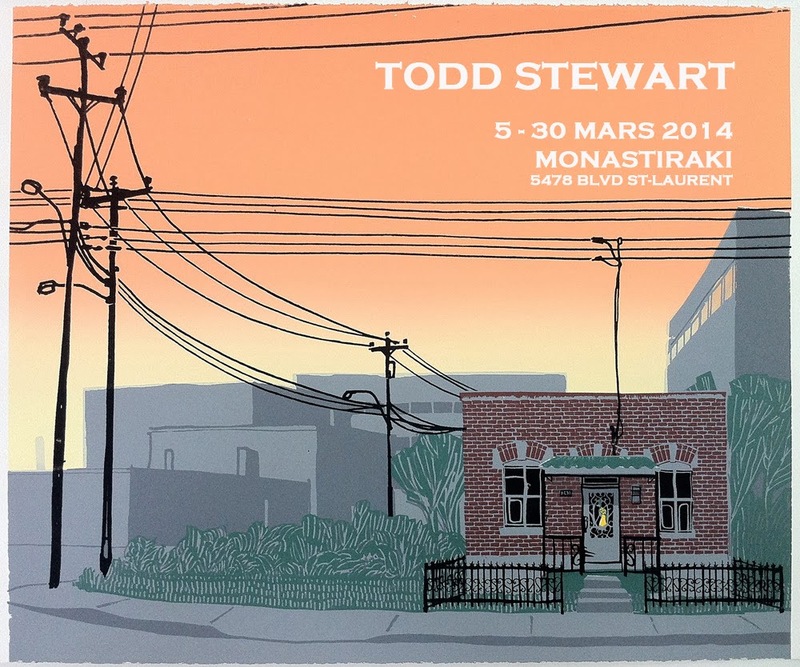 We are thrilled to have the gorgeous silkscreened prints of Todd Stewart aka bree,ree framed and on our walls for the month of March.